A fantastic Organizational Change classroom book that grants a perspective from each change agent role. Highlights the role each person within an organization plays during the change project. Clarified my perspective about individual roles in the work center and defined the parameters of each. Great Stuff! Trying to get a better understanding of the world of Change Management. 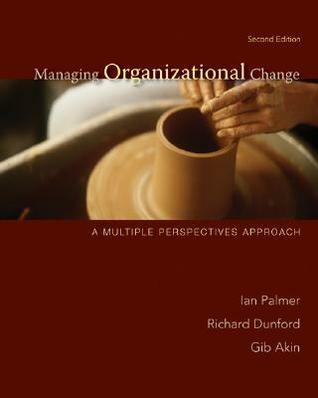 I like one comment from the book, how the role of a 'change manager' is one of shaping, not controlling change. Also great to read about the Compaq/HP merger from both an outsider's view AND a change management view.